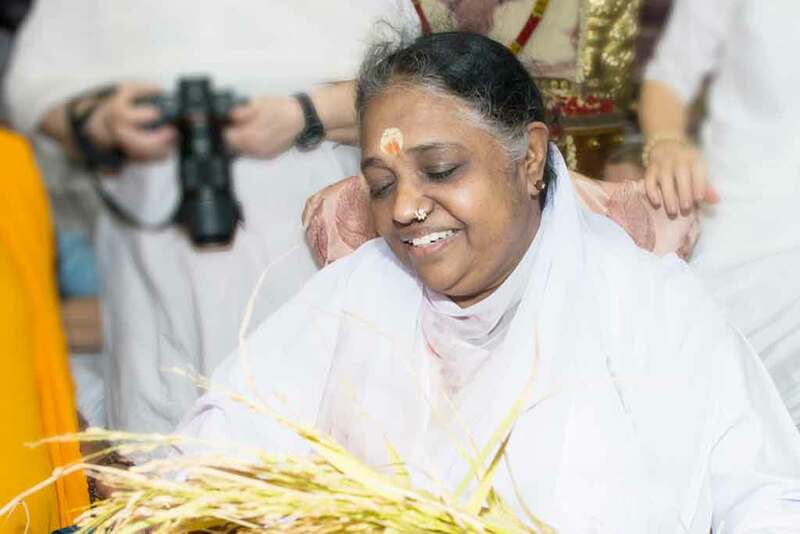 It’s the first time they’ve tried growing organic rice, so farmers from Sadivayal, Tamil Nadu quickly brought the primary results of their efforts to Amma in Amritapuri. The rice that fell from their fingers into her hands was the sign of the first successful crop in the last five years. Sadivayal is in the Coimbatore District and most of the people who live there are of the Irulas tribe. By last count, there were 44 households. Because the farmers in that village have had difficulty cultivating good crops, they have had to take up daily wage labour. The challenge of that goes without saying. Amrita SeRVe brought 20 men from the poorest families together to form a farmers’ club and trained them in organic farming. They were encouraged to experiment with it in 35 acres of land and the final decision was to cultivate organic Bhavani rice paddy. 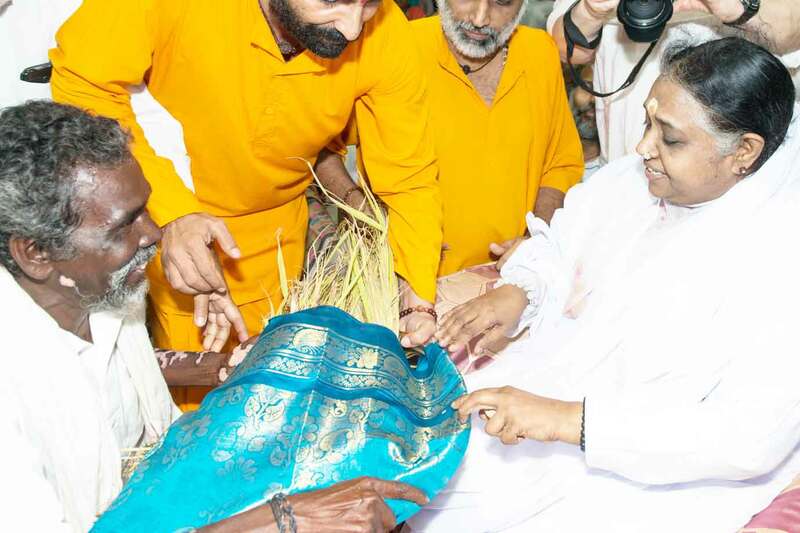 Now that harvest has successfully begun, the farmers were eager to bring the rice to Amma for her blessing. They say it is by her grace that their lives are taking a turn for the better.